Is your MacBook's battery struggling since you upgraded to Mountain Lion? 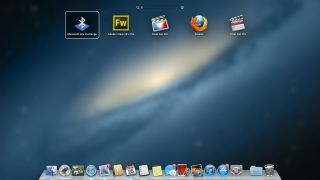 The newest version of Mac OS X, Mountain Lion, is reportedly causing users to experience diminished battery life. Apple has stepped-in following a litany of complaints on its support forums from MacBook users and the publishing of a number of damning independent web-polls over the weekend. MacWorld UK reports that there's a 31-page support thread with 27,000 views and almost 500 posts littered with unhappy upgraders. Engadget also reports that 43 per cent of more than 18,000 respondents to its poll have noticed an immediate negative effect on battery life after downloading Mac OS X Mountain Lion. MacWorld quotes on user on the support forum who said: ""I can visibly see the battery draining. In fact, when I first started writing this post my battery was at 96 pe cent and now, three sentences later, without doing anything else, and without having any other applications running, my battery life is at 91 per cent!" Apple has now begun following up with affected users by sending them logging software and asking them to fill in email questionnaires. You may recall similar users having similar issues with the previous OS X Lion launch last year. Are you experiencing issues with the battery life on your MacBook Pro or MacBook Air since upgrading to Mountain Lion? Let us know in the comments below.